Mom, the Intern: Lucky number 7. I've thought long and hard about how to cleverly explain why I've become an absentee blogger, and it turns out ... I've got nothin'. Nothin'! I'm just lame and that's all there is to it. 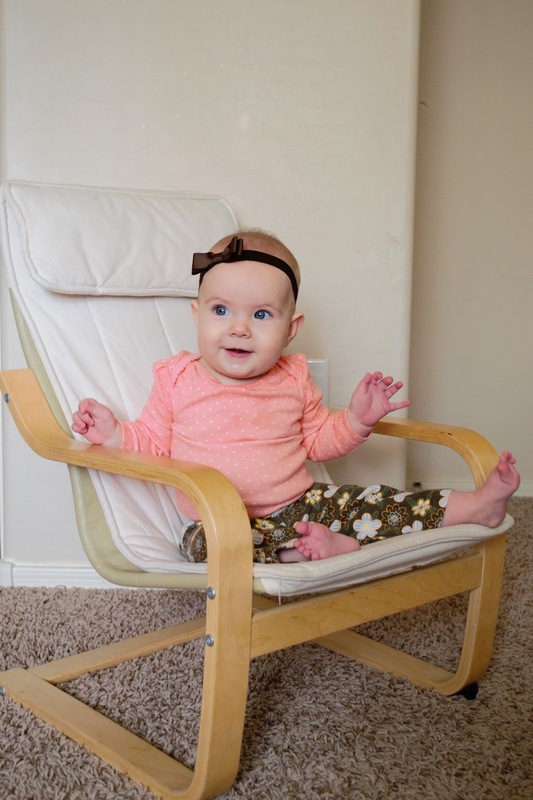 At least I remember to blog Clara's monthly chair pictures. That has to count for something, right? I can't get enough of this little chickie! Clara is seven months now. We started her on solid foods at the end of October and she's really taken to them! She sits in a high chair and enjoys her meals at the table with us now. She is still breastfeeding five to seven times a day, too, so she's growing like a weed. She is getting around by rolling and scooting. She is also doing the pre-crawling rocky-thing on her hands and knees which is both adorable and horrifying. I am not ready for a crawling baby, not in the slightest! And my older kids aren't ready either, judging by the amount of small Legos, marbles and Barbie accessories I find scattered on the carpet in their room. That will have to change ASAP unless we want a choking victim on our hands. Clara has also started talking a little, babbling and shrieking delightedly most of the time. She's also saying "Dada" and "Mama," intentionally addressing us, which is so cute I can barely stand it. Also, "Mmmm!" when she's eating something she likes. She is really curious and always looking around the room. She loooooves watching her crazy siblings and their antics. She enjoys people in general, it seems. A smiley extrovert in the company of others. Clara started doing a new trick yesterday. We were sitting on the floor of my bedroom playing a game of Clue when all the sudden, I looked over and she was sitting up. All by herself. Unassisted and unprompted, sitting like a big person. None of us saw it happen, though. But we all whooped and cheered like she'd won the World Series or something. Big milestone for a bobble-headed baby. Let's see ... what else has been going on 'round these parts? School for the big kids (they are both loving it and thriving -- Carson is even READING already! ), work and Stake Sports for Dill, Young Women, teaching music lessons and singing in the Millennial Choir for me ... oh! 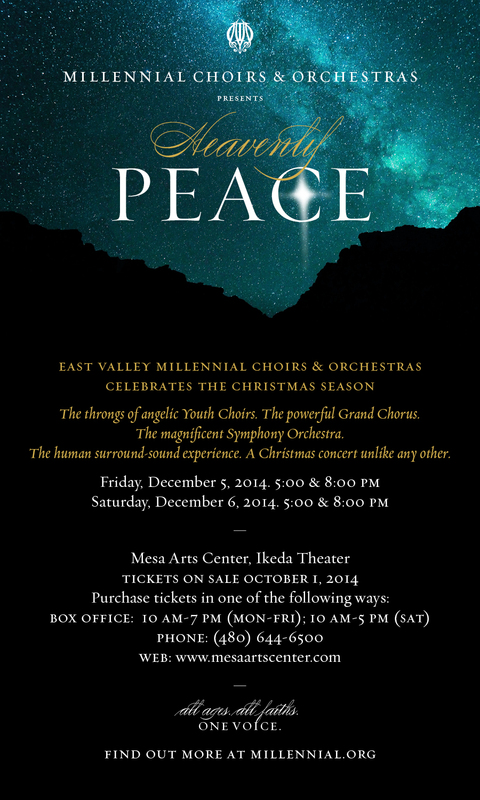 Speaking of, we have a few Christmas concerts at the Mesa Arts Center this weekend. The theme is Heavenly Peace and I'm really excited about the repertoire, which includes the one and only Eric Whitacre. Like, my fave composer of all time. And if you don't believe 250 singers can pull off Whitacre, well come and see for yourself. Because it's going to be amazing. Get yo' tickets here and HURRY, because they're almost gone! Exactly! So exciting when they hit those milestones!